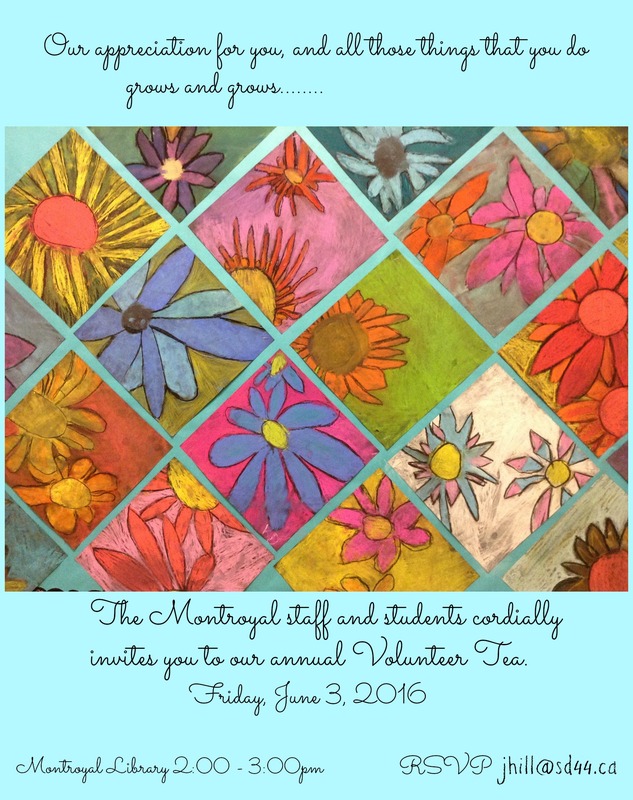 Thank you for making Gala MontRoyale a success! Thanks to you, Gala MontRoyale was a huge success! We couldn’t have done it without the generous support of our sponsors, volunteers and parent body who donated, attended, played in the casino, shopped at the silent auction, bought 50/50 tickets and danced the night away. It was a great event! We’re proud to tell you that we raised approximately $17,500. These dollars are being earmarked to our Technology funds to purchase a new set of laptop computers (15)! Please watch for details about this purchase coming from MPAC in the next couple of weeks. Here’s a link to some of the fun photos from the evening. We are sad to announce that Mrs. Power will be retiring at the end of this school year. She has been a spearhead of the Montroyal teaching community for many years. In addition to her excellence in the classroom, she has been instrumental in the development of our Environmental and Athletics programs at Montroyal. There will be a collection envelope available in the office should you wish to contribute to her retirement gift. We will also be putting a large card up in the foyer soon for all students and parents to add their best wishes. Check out details on our Programs & Events page. Ride your bike to school to start the day off right - with fun, exercise and fresh air. You can still save on registration fees until May 31st. Register at http://sd44.schoolcashonline.com/ For more information visit NVSD website. Invitation was sent out by the school, please see attached. Let’s work together to keep our children safe! Use the pick up and drop off zone in front of the school. Loading and unloading should only happen in the first spot in the line. Drop off / Pick up Zone rules are on our Traffic Safety page or watch this short video.